Infographics as a content marketing tool – does it still work? For years, they have been helping us to understand data and often made us go “wow”. We click “Like”, share them. But is releasing them actually profitable for their authors? And if so, how to achieve the best results when using infographics for online marketing? The internet infographics referred to in this text began to appear in the early 2000s and gained the greatest popularity with the development of social media. The dynamic growth began around 2010 and lasted more or less until 2015. 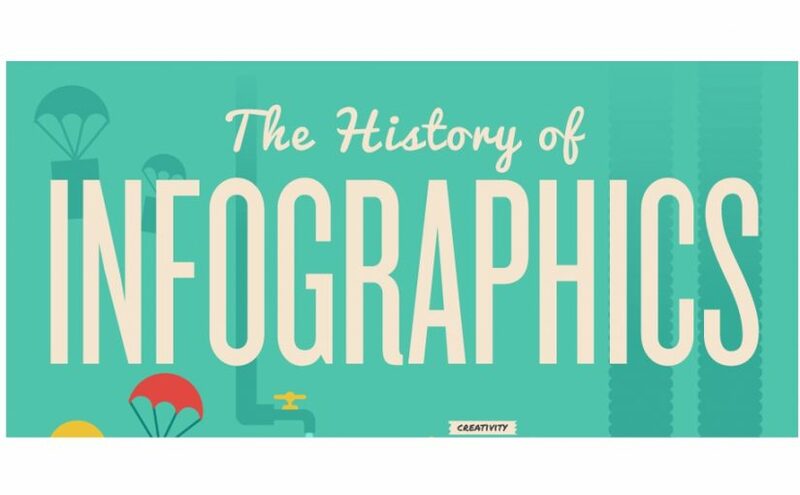 Then it stopped, which doesn’t mean that the popularity of infographics began to decline. Rather, it stays at a constant level. The effectiveness of visual presentation in the dissemination of content containing various types of data is unquestionable. And it has been used greatly in online marketing. In short, it works as such: we publish a prepared and branded infographic on our own website with our consent for it to be used by others. Then, other websites use it, gaining free, interesting, and attractive content for their users. Or they just link to the original post, quoting it as a source of data that they mention. Even if we aren’t the owner of the data (we didn’t conduct the survey ourselves, we only used external data), by publishing the infographic with our logo we present ourselves as an expert in a given field. Or at least as someone who has something to say about it. With each subsequent publication, we increase the reach and number of brand contacts. The use of our infographic usually requires publishing a backlink to the source—that is, to the original post on our blog. And—as you know—any external link pointing to our website benefits its positioning. Especially if it appears on a website that’s valuable and compatible with the subject matter of our website. Since others are happy to publish our infographic, the original post on our blog is all the more valuable to our readers. If you like the material, you can count on subsequent subscriptions for notifications (building the database) and shares in social media. Multimedia materials generate a lot more interactions (reactions, comments, shares) than text posts. Providing a good infographic on the social profile of the brand will definitely have a positive impact on the involvement of users. The key to the infographic’s success is, of course, the idea for an interesting way to present the data. But the data is, of course, the basis. It’s comfortable to have your own interesting data—e.g. statistics for a large number of users. You can also conduct your own study and then analyze its results. However, most infographics are based on publicly available data that can be found on the Internet. Data published, for example, by statistical offices, chambers of commerce, industry websites, etc. Of course, the use of third-party data must be legal—that is, you must check whether its owner allows for it to be used commercially—or simply ask. Sometimes the ability to use data may involve a fee. The source (or sources) of data must always be provided on the infographic. Not only because of the legality mentioned above but also to make the infographic credible. The rules regarding the text content of the infographic largely coincide with the best practices for articles. A catchy title, subheadings, simple but correct language, short sentences, etc. are very important. When it comes to creations, the quality but also the uniqueness are of key importance. An infographic designed from scratch by an experienced graphic designer will work the best. Additionally, such a project will perfectly support the image function of the infographic. It might be tempting to use online generators of infographics (e.g. Canva, Piktochart, Infogr.am). However, using ready-made illustrations or icons virtually eliminates uniqueness. It doesn’t mean that such an infographic won’t work. Simply the effect will be worse than with a custom one. A very important element of the infographic is the footer—in this area, apart from the sources and other references, our brand information will be found. Sometimes there are a few brands in the footer—because there is nothing to prevent two or more companies from creating an infographic together. The logo must be clearly visible, legible and should be accompanied by a slogan that briefly presents the brand. The address of your website will also be useful. Anything more and the footer would be bloated. The vast majority of published infographics are static bitmaps. However, some people are experimenting—usually successfully—with multimedia formats. Animation or video makes the visual layer dynamic (and adds sound), allowing you to transmit even more content. In turn, interactive infographics surprise, delight and engage users even more. Since 2016, a specific type of static infographics—maps—has been extremely popular. 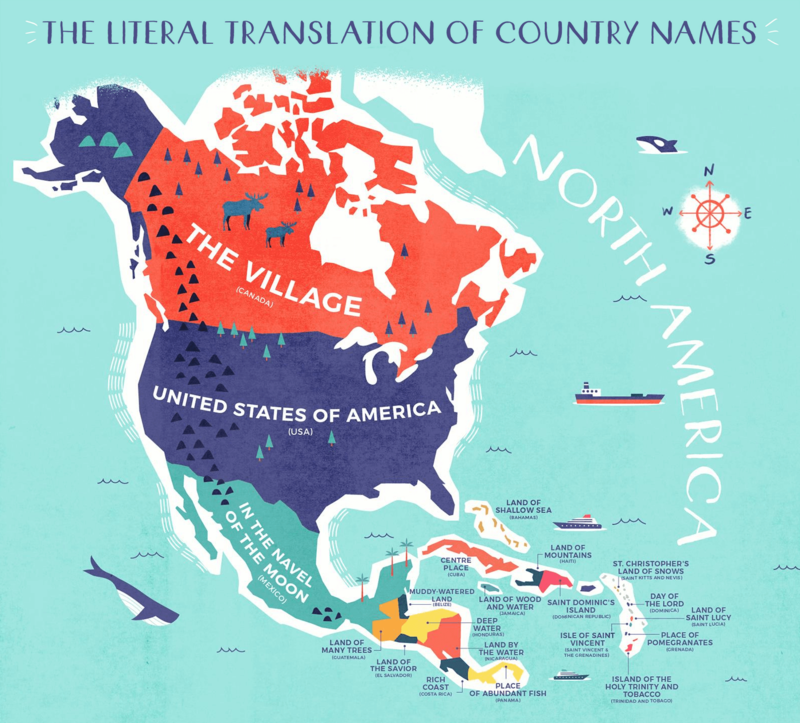 Differences between the countries of the world or a continent or regions of a given country stimulate the imagination and provoke interaction (in the form of comments). The media know it, and they are very willing to provide such materials. Publishing an infographic on your own blog is seemingly a simple matter—but there are several elements to keep in mind. In the case of bitmaps, it is a good habit to publish graphics larger than the one displayed in the article. Firstly, because other sites may need a different image width (because they have more space). The second reason is to allow recipients to enlarge the infographic to get a closer look at the details. Thirdly—sometimes the printed media may want to use the infographic—in that case, a high-resolution version will be indispensable. The sudden success of the infographic may result in increased traffic on our blog. But if other websites publish the infographic so that it is downloaded from our server, then the increase in the load can be very large and completely out of our control. A good solution is to use a CDN (Content Delivery Network) to provide the infographic’s file. An additional benefit will be that the image will load faster for users located far from our server. Usually, we want the infographic to be published in a specific way, with a link to the source containing a specific text (anchor). Therefore, it is worth placing a premade code snippet under the infographic that other websites can use to embed it. Such a code snippet will simplify matters for them, so it will also increase the probability of the infographic getting published. So far, Google is unable to read the texts on infographics—at least it doesn’t crawl them yet. Therefore, with SEO in mind, it is worth including a transcription of the most important content under the infographic—for example, conclusions or summaries. 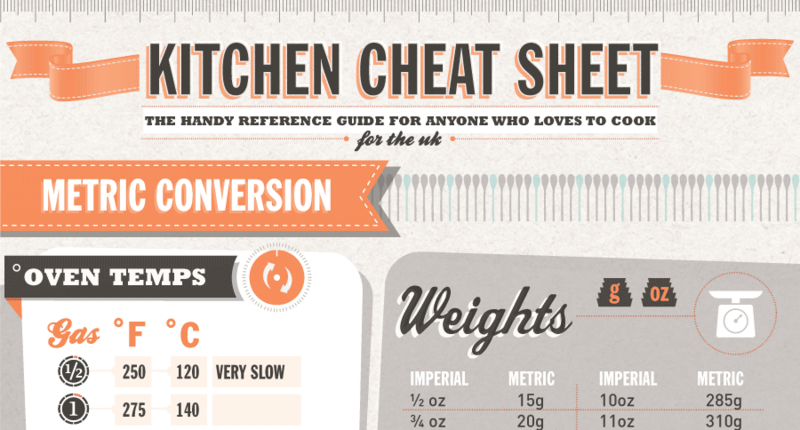 Regardless of how popular our blog is, it is worth promoting the infographic. It’s a material that consumed a lot of resources and now you need to get the most out of it. And the potential is huge, so you also have to spend some energy on it. First, we promote our post as usual—just like other posts. E-mails and push notifications to subscribers, sharing through social channels, etc. Only later—after a day or two—we launch a promotion addressed at the publishers of blogs and websites that could publish our infographic. The point is to make sure that Google will treat our post on our blog as the original, basic source of this infographic. If this is not our first infographic, it is definitely worth contacting publishers who have previously published our materials. – large blogs, industry websites, portals. In the case of the former, we are looking for blogs covering a subject matter that’s as close as possible to the subject matter of our infographic—and we try to contact the blogger directly (or the owner of the blog who manages the group of writers). When it comes to larger websites, we have two options—either find an author who has written on similar topics and contact them directly—or use the official channels to contact the editors. Both ways have pros and cons. The author may no longer work for a given website—or they may simply not answer us, and we will never find out if we managed to reach them. In turn, hundreds of press releases and other materials flow through official channels, among which our infographic—despite its attractiveness—may get lost. Networks such as Pinterest or even Snapchat are ideal places to promote visual materials such as infographics. Reddit also has popular categories (subreddits) such as r/dataisbeautiful or r/infographics, where good infographics are welcomed and willingly recommended. Due to the high popularity of infographics, there are also platforms focused on them—such as e.g. Visual.ly. So, does it or does it not work? Infographics don’t work any worse than they did, for example, 5 years ago. The difference is that there are thousands of them on the Internet and many more are being created all the time. That is why it’s difficult to stand out from the crowd. But if you have excellent data, an interesting idea or you invest in a modern form—you have a good chance of success. Konrad Caban heads the team of Super Monitoring – a tool for monitoring the availability and proper functioning of websites and web applications. From its very beginning in 2008 Super Monitoring has been using infographics for marketing. Some of them have been quite successful, appearing in such media as Mashable, TechCrunch, Huffington Post or the official Google blog.